As the Aadhaar hearing resumed post the lunch hour on Wednesday, senior counsel Gopal Subramanium drew the attention of the bench to the portions of the Justice KS Puttaswamy judgment dealing with the concerns of ‘informational privacy’, which “reflects an interest in preventing information about the self from being disseminated and controlling the extent of access to information”. “The Aadhaar Act and the regulations framed thereunder envisage an all-pervasive regime of dataveillance, including metadata. There is no doubt about it,” he submitted. In response, Justice DY Chandrachud indicated the observation in the privacy judgment that the State has a legitimate interest in monitoring the web to secure the nation against cyber attacks and the activities of terrorists. “That is very different. The State is not justified in surveilling the entire citizenry as if they were all terrorists,” stated Subramanium. Thereupon, the discussion veered to Section 59 of the Aadhaar Act of 2016, which provides that all acts of the Central government taken under its notification dated January 28, 2009 establishing the UIDAI shall be deemed to have been validly taken under the Act of 2016. 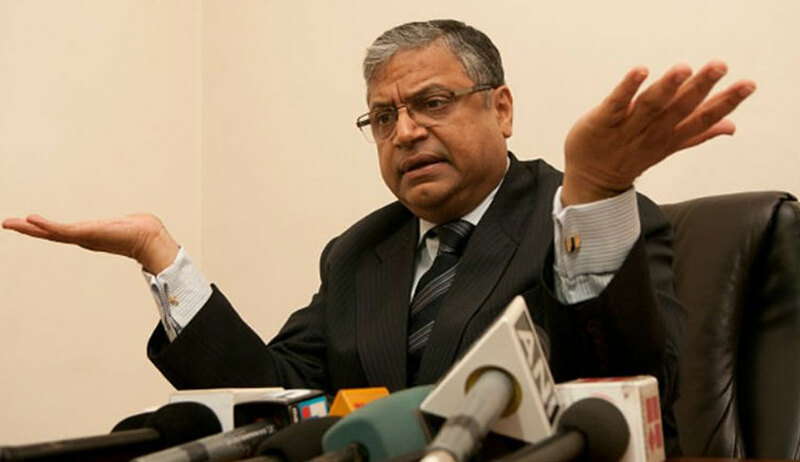 “An abridgement of fundamental rights is possible only under a law in praesenti; any such breaches cannot be validated retrospectively,” advanced Subramanium. “The absence of a law may be supplemented. But once a breach has ensued, it cannot be retrospectively said there was no breach,” opined Justice Chandrachud. Justice AK Sikri concurred. “If an action was undertaken without lawful authority, it cannot be accorded the requisite authority retrospectively. The de jure and de facto invasion into the sphere of rights is complete; it cannot be retrospectively cured after the enactment of a statute,” added Subramanium. In view of the proviso appended to clause (1) of Article 73, stipulating that the Executive power of the Union shall not extend in any state to matters in respect of which state legislatures are also empowered to make laws, he submitted that the Central government could not execute the Aadhaar scheme as the related entries, including, inter alia, ‘economic and social planning’, ‘social security and social insurance’ and ‘welfare of labour’, are entries 20, 23 and 24 in the Concurrent List. He also relied on constitutional provisions dealing with panchayats - Part IX of the Constitution; Article 243G, submitting that government accountability commences at the grassroots level and that the Aadhaar scheme strikes at the federal structure of the Indian government. “The Aadhaar scheme is perhaps covered under the residuary powers of the Central list under Entry 97 of the Union List,” interjected Justice Chandrachud. In relation to Section 57 of the Aadhaar Act, Justice Chandrachud inquired if the Aadhaar architecture was utilised by state governments prior to the coming into force of the Act. Subramanium informed that MoUs had been executed by governments of states to set up State Resident Data Hubs. “The access of a citizen to social security schemes and other essential benefits is solely dependent on successful authentication. There are also no means of relief, substantive or procedural, in the event of failure of authentication. The Act only provides for updation of biometric data. But how is the individual to realise when their biometrics need to be updated,” submitted Subramanium.